I mean, come on! What the hey? 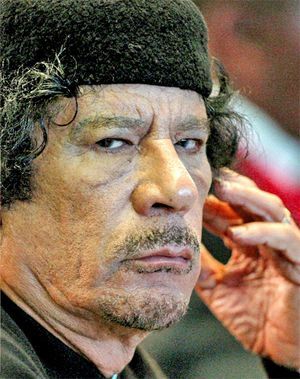 Col. Gaddafi, what part of tropical island did you not understand? I think I may have underestimated you. Maybe you really are dumber than I gave you credit for. Burkina Faso? The Land of the Upright People? Yep, you gonna fit right in. I assume there was no exit strategy. What? I could of got a tropical island? Instead I got Burkina Faso! This entry was posted on Tuesday, September 6th, 2011 at 06:06 and is filed under Uncategorized. You can follow any responses to this entry through the RSS 2.0 feed. You can leave a response, or trackback from your own site.